Home Anime My Hero Academia: Two Heroes movie opens in the PH next month! DETROIT SMASH-ing its way to PH theaters soon! OH YEAH BABY! The long-awaited release of the My Hero Academia: Two Heroes movie is finally upon us! The film will screen in select cinemas in the Philippines on October 31, 2018 courtesy of Pioneer Films. Pioneer Films first confirmed the My Hero Academia movie’s PH release last month. While they have announced the release date for the film, there’s no list of theaters yet that will screen the BNHA movie. In case you aren’t familiar with the new movie, My Hero Academia: Two Heroes takes place in between Seasons 2 and 3 of the anime series. 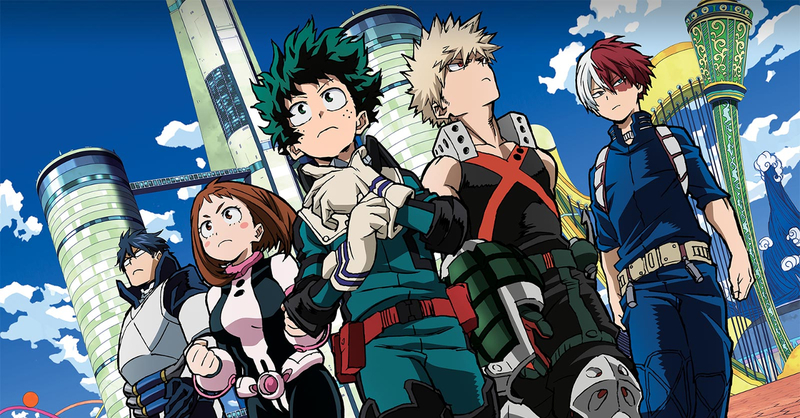 It’s a standalone story about that sees All Might and Deku travel to I-Expo, an exhibition of Quirk Abilities and Hero Item Innovations. There, they encounter familiar faces and deadly foes. For more updates on the movie’s PH release, keep posted on the Viewer’s Choice Philippines Facebook page. And if you’re looking to watch more anime films this year, you better check out Maquia which is also going to be released in PH cinemas soon.